The brilliant, bestselling, landmark novel that tells the story of the Buendia family, and chronicles the irreconcilable conflict between the desire for solitude and the need for love—in rich, imaginative prose that has come to define an entire genre known as "magical realism." 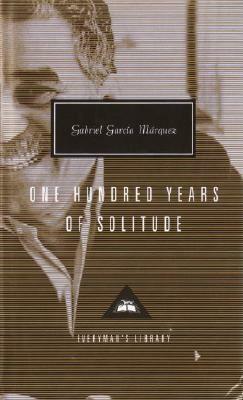 García Márquez was born in Aracataca, Colombia, in 1928. He attended the University of Bogotá and went on to become a reporter for the Colombian newspaper El Espectador. He later served as a foreign correspondent in Rome, Paris, Barcelona, Caracas, and New York. Winner of the Nobel Prize for Literature in 1982, he is the author of several novels and collections, including No One Writes to the Colonel and Other Stories, The Autumn of the Patriarch, Innocent Erendira and Other Stories, Chronicle of a Death Foretold, The General in His Labyrinth, Strange Pilgrims, and Love and Other Demons.